Even the chilliest of hearts can be brought to life with the addition of love and today that is exactly what is expected from the latest bundle for Dungeon Defenders II on Xbox One. Does your heart need warming? Priced at £15.99, the Heartwarming Bundle from the Microsoft Store will deliver some new goodies to Dungeon Defenders II players. Containing the Abyss Lord, you’ll find that the power of darkness are utilised to raise the skeleton armies, whilst the Molten Master costume will happily cloak your Lord with flames! The Heartwarming bundle will also bring a Narwhal as a pet, 10 Pet Affection booders and 5 Defender Packs which should help increase your cosmetic options. 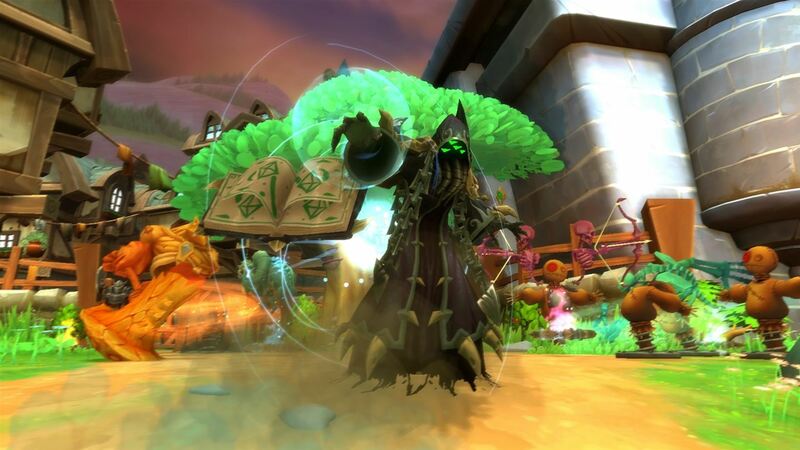 With Dungeon Defenders II being a free-to-play action Tower Defense experience, it doesn’t seem too bad to ask the most passionate of players to splash a little cash every now and then. And what better time to spend that money than at Valentines? Get over to the Microsoft Store right now. Oh, and don’t forget to have a read of our review of the base game. Rekindle even the coldest of hearts with the power of love! This bundle contains: The Abyss Lord uses the powers of darkness to summons armies of skeleton defenses. The Molten Master Costume to cloak your Abyss Lord in the power of flame! A Legendary Narwhal Pet to defeat your enemies, and you friends, with the power of cute! 10 Large Pet Affection Boosters to empower the bond between hero and companion. 5 Defender Packs to bolster your cosmetic collection.